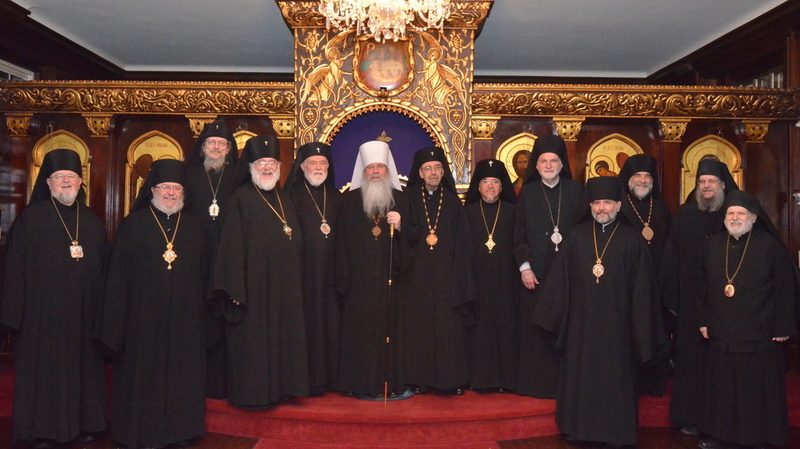 SYOSSET, NY [OCA] October 24, 2016 - The Holy Synod of Bishops of the Orthodox Church in America concluded its Fall Session at the Chancery here on Friday, October 21, 2016. His Beatitude, Metropolitan Tikhon, presided at the sessions. His Beatitude, Metropolitan Tikhon, delivered his opening address on Tuesday morning, October 18. He reported that he continues his work on the “four pillars” of Church life. 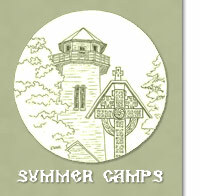 He requested the members of the Standing Synod to assist him in articulating a long-term vision for the Orthodox Church in America, to include a comprehensive systematic study of clergy retirement, the ability of parishes to provide full-time clergy compensation, declining membership, and related matters. The reports of the OCA’s Officers — Archpriest John Jillions, Chancellor; Archpriest Eric G. Tosi, Secretary; and Melanie Ringa, Treasurer — were received. The positive financial status of the OCA was noted. The 2017 budget was approved. The Holy Synod directed Ms. Ringa to initiate budgetary planning for the 50th Anniversary of the glorification of Saint Herman of Alaska and the 50th Anniversary of the OCA’s Autocephaly, slated to be celebrated in 2020. Cindy Heise delivered her report on the Office of Review of Sexual Misconduct Allegations [ORSMA]. The members of the Holy Synod will consider making “Protect My Ministry” as the company of choice for conducting background checks. Dr. Albert Rossi offered an update on the Sexual Misconduct Policy Advisory Committee[SMPAC]. Priest Nathan Preston reported on the ongoing work of the Department of Pastoral Life and joined Archpriest Nicholas Solak and Dr. Albert Rossi in providing the bishops with a comprehensive overview of the Clergy Peer Group Program. Father Tosi reported on the impending redesign of the OCA web site. The Holy Synod confirmed Saint Louis, MO as the site of the 19th All-American Council, slated to convene July 23-27, 2018. Members of the Pre-Conciliar Commission were appointed. See related story. Five full and one partial Church Planting Grants were awarded to six fledgling mission communities. See related story. The boundary between the Dioceses of Eastern Pennsylvania and Western Pennsylvania was established as drawn and agreed upon by the respective diocesan hierarchs—His Eminence, Archbishop Mark of Philadelphia and Eastern Pennsylvania and His Eminence, Archbishop Melchisedek of Pittsburgh and Western Pennsylvania. The document titled “The Vetting of Candidates for the Episcopate: Guidelines and Procedures” was reviewed by members of the Holy Synod, who also reviewed the names of potential candidates for the episcopacy. Metropolitan Tikhon requested that the Holy Synod provide direction in the matter of securing a future facility for the OCA Archives. Metropolitan Tikhon reported on the recent visit of His Eminence, Metropolitan Joseph of the Antiochian Orthodox Christian Archdiocese of North America to the OCA Chancery. [See related story.] The members of the Holy Synod strongly endorsed actions of mutual support and solidarity, bringing the Orthodox Church in America and the Antiochian Archdiocese together for common Orthodox witness. Protopresbyter Leonid Kishkovsky, Director of External Affairs, reported on recent developments throughout the Orthodox world, including the Council convened in Crete in June 2016. Documents issued at that gathering will be discussed at the Holy Synod’s Spring 2017 Session. Father Leonid was named Temporary Representative of the OCA to the Moscow Patriarchate, in light of the untimely repose of Archimandrite Alexander [Pihach]. His appointment is effective immediately and will continue until a new Representative is appointed. Archdeacon Joseph Matusiak reported on the work of the Stewards of the OCA [SOCA], noting with gratitude one-hundred percent participation on the part of the members of the Holy Synod and the Metropolitan Council. The Saint Herman Appeal, initiated in August 2016, will continue through the Feast of Saint Herman in December. A report on the Spiritual Abuse Work Group, an initiative mandated by delegates to the 18th All-American Council, was presented by His Grace, Bishop Paul of Chicago. Archpriest Theodore Boback and Marge Kovach reported on the ongoing work of the Fellowship of Orthodox Christians in America[FOCA]. The FOCA will hold its 2018 national Convention in conjunction with the 19th All-American Council. His Eminence, Archbishop Nathaniel of Detroit and the Romanian Episcopate was congratulated on the 50th anniversary of his ordination to the priesthood on October 23, 2016. A Canonical Review Committee—a subcommittee of the Commission on Canons and Statutes—was established. His Grace, Bishop Daniel of Santa Rosa delivered the report of the Standing Committee on Canonical Procedure, while Archbishop Melchisedek offered an update on the Canonization Committee. Candidates for ordination to the diaconate, as recommended by the Board of Theological Education, were approved. It was decided to reactivate the Medical/Ethics Commission in the near future. Psa. Silvia Yova - Memory Eternal!